This week the new apartments are delivered in this stylish residence. 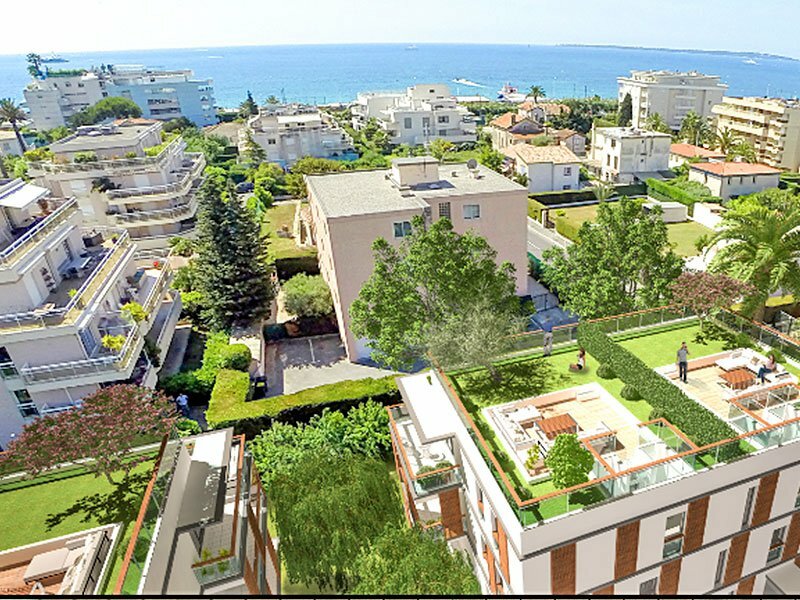 Living on the Côte d’Azur has the last apartments for you if desired with garden or on the first floor. 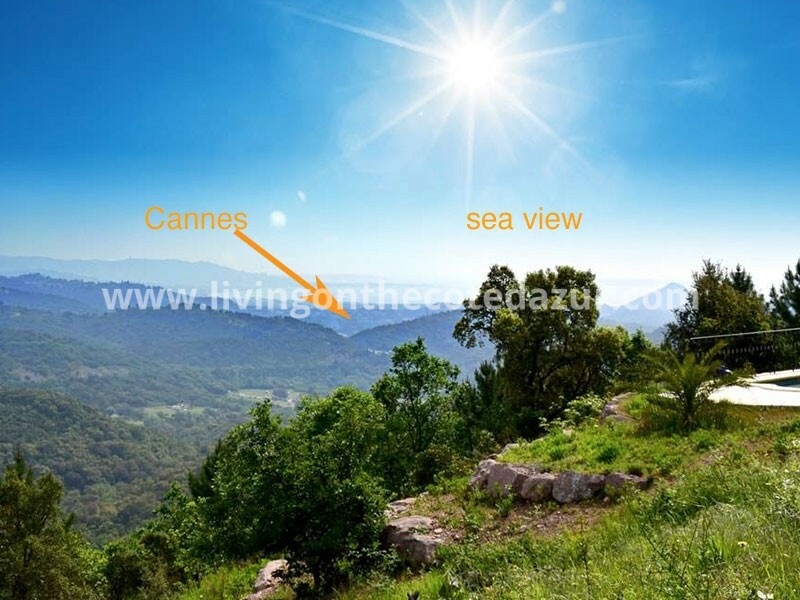 Beautiful location within walking distance of all prescriptions and of course the lovely sandy beach. 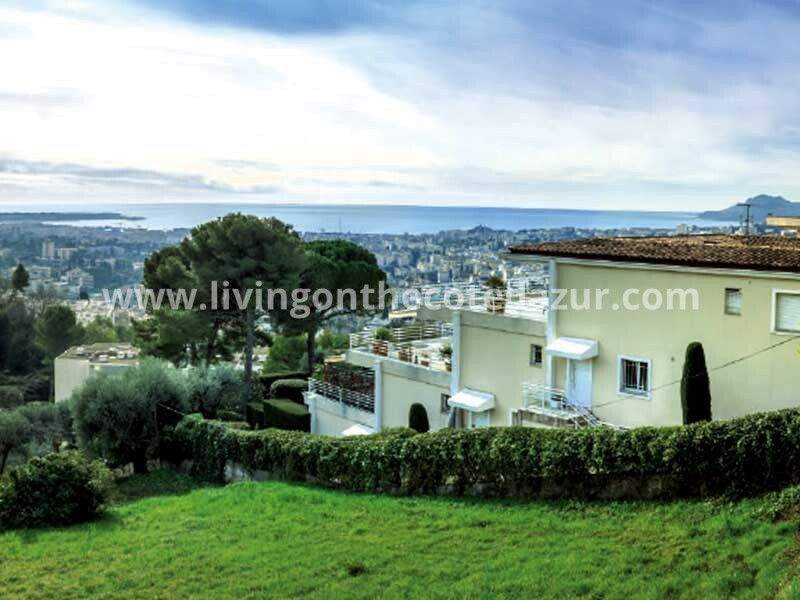 Juan Les Pins is one of the most popular seaside resorts on the southern French coast. Here you can carelessly stroll around the boulevard with the whole family around midnight while live music is played everywhere. The night markets are always crowded and everyone is in a holiday mood. 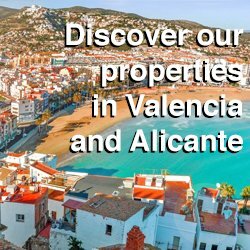 With a new apartment close to the sea you can experience this holiday feeling all year round, and at much lower costs than a hotel room in high season. 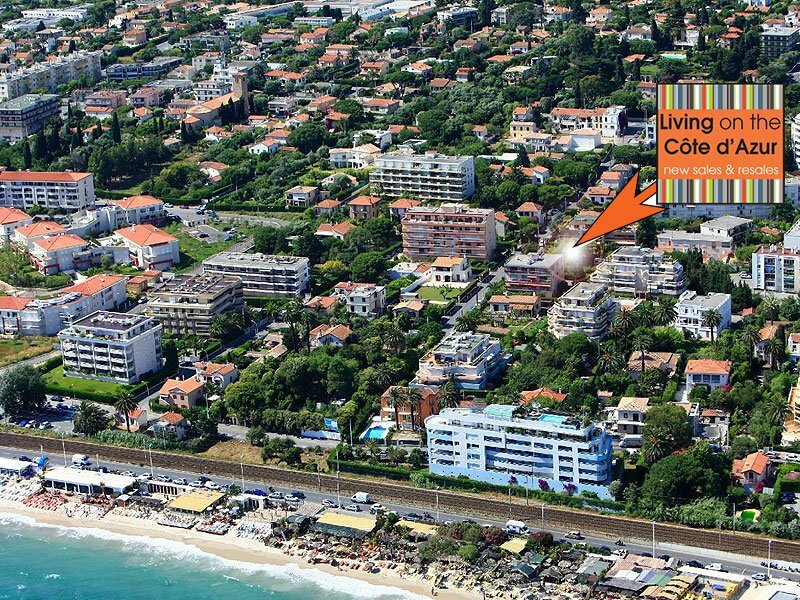 Juan Les Pins is one of the most popular seaside resorts on the French Riviera coast. Here you can walk carefree with the whole family till midnight around the promenade while live music is playing everywhere. The evening markets are always crowded and everyone is in a friendly holiday destination. 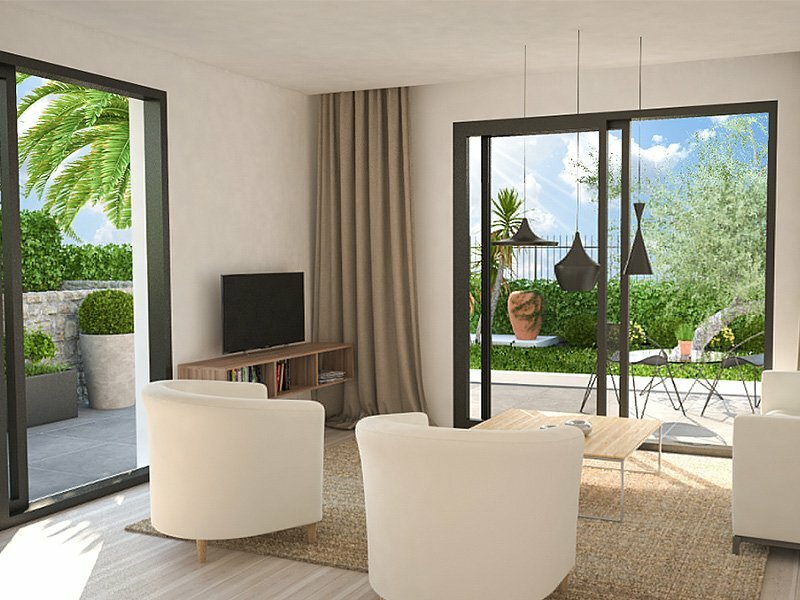 With a Juan les Pins new apartment 100 meters from the beach, you can continue to experience this holiday feeling all year long, and at much lower cost than a hotel room in the high season. 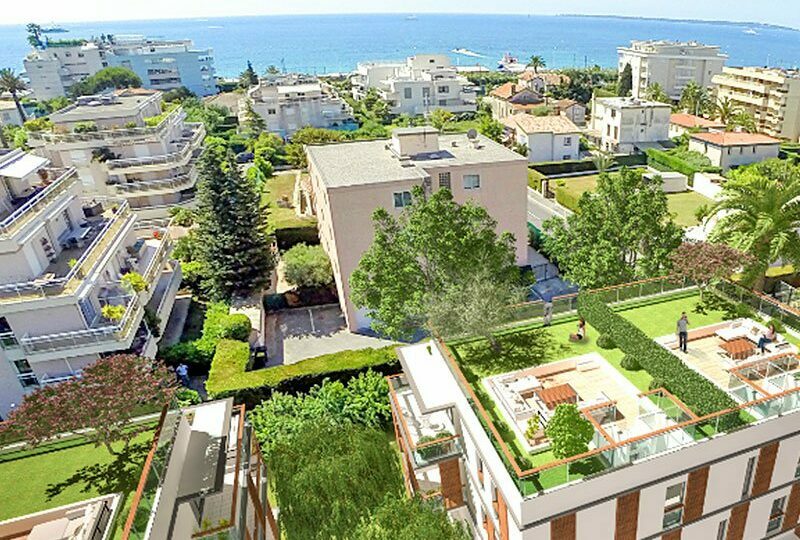 A new apartment about 100 meters from the beach in Juan Les Pins sounds almost too beautiful to be true, but it really can be yours. 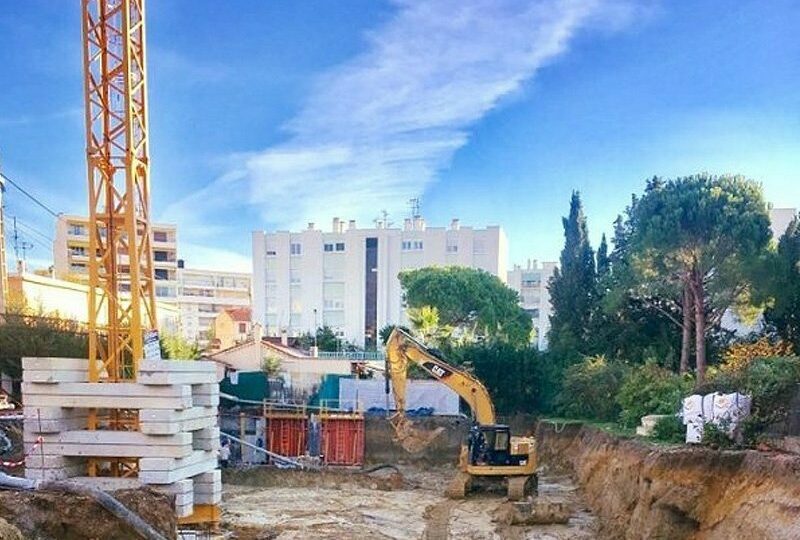 In this modern, newly built villa with 16 apartments, you will be living only 100 meters from the famous Bijou Plage; with key handover in January 2018. 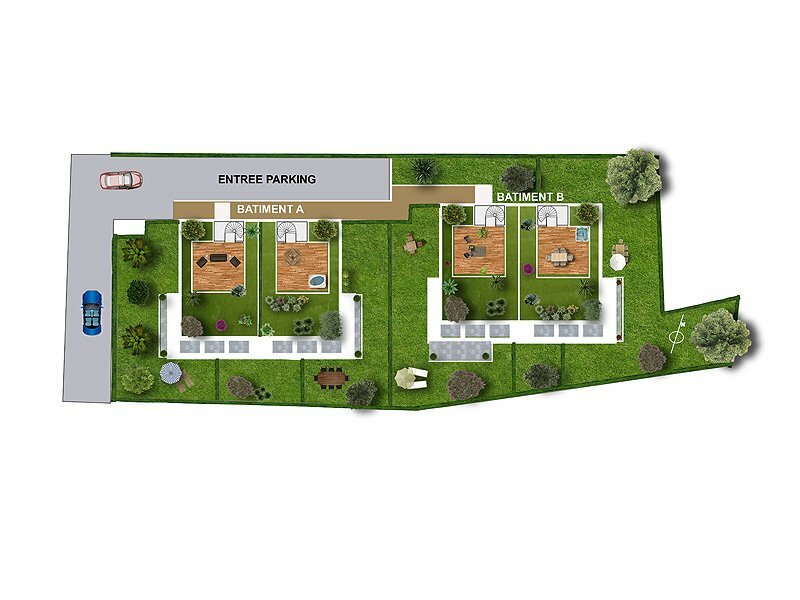 Due to the perfect location, you do not suffer from the train; there are several residences and gardens between your villa/apartment and the track. 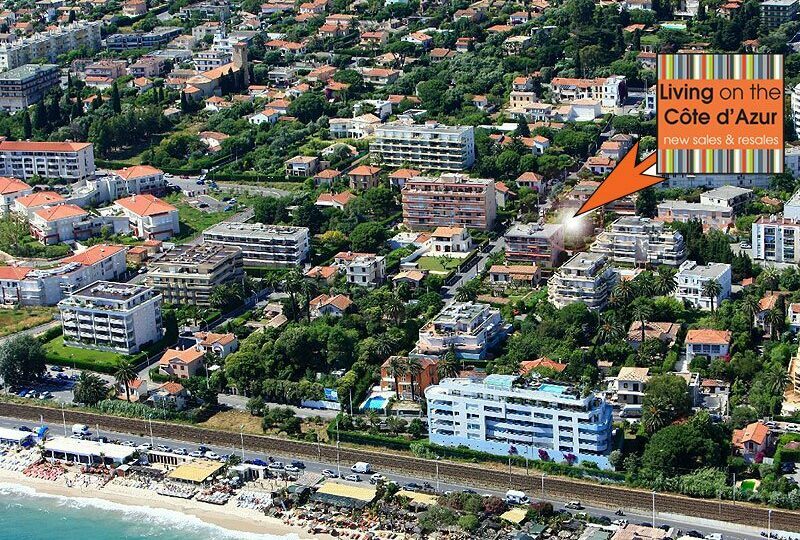 The trains in Juan les Pins are almost at walking speed because the station is nearby. 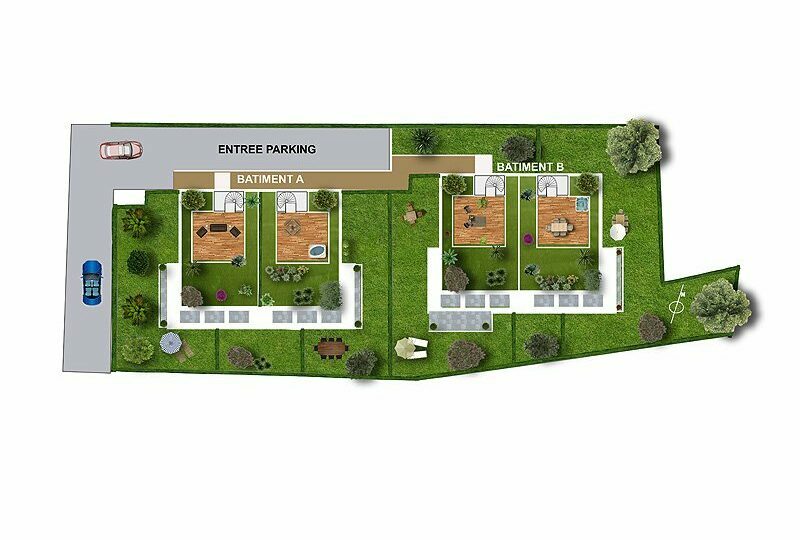 The villa is a small and exclusive residence of two buildings; each consisting only 8 apartments, from 2 to 4 rooms and 4 beautiful penthouses. 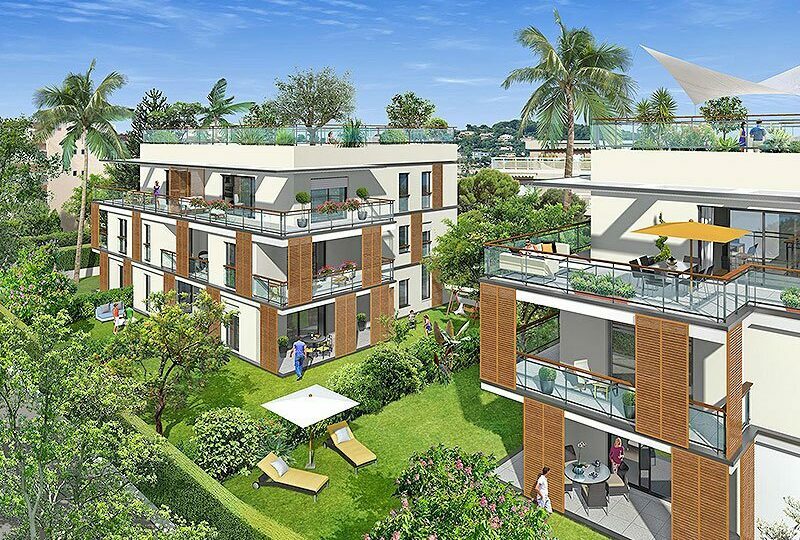 The residence complies with the very demanding environmental standards and has 34 parking spaces. 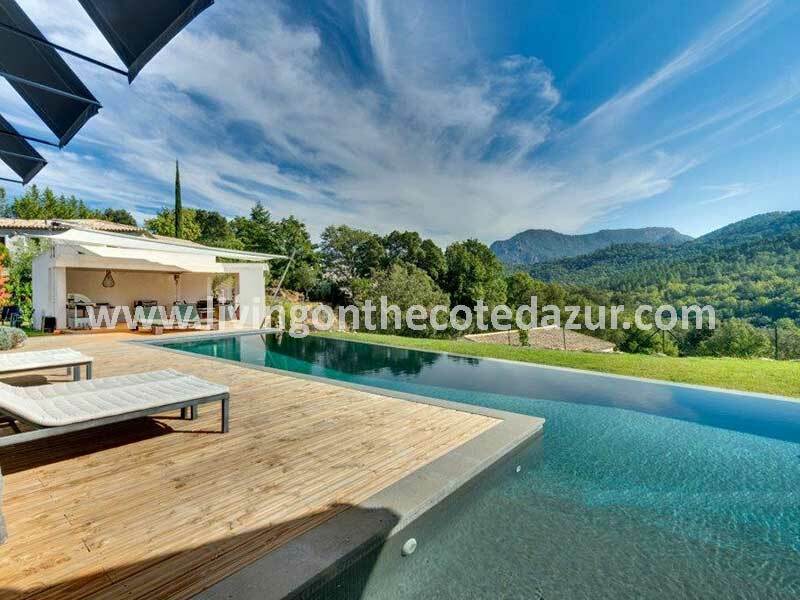 The villa is located on the coast of the French Riviera and offers quick access to other nice destinations on the Cote d’Azur such as Cannes at 15 minutes, Nice at 30 minutes and Monaco in 50 minutes. 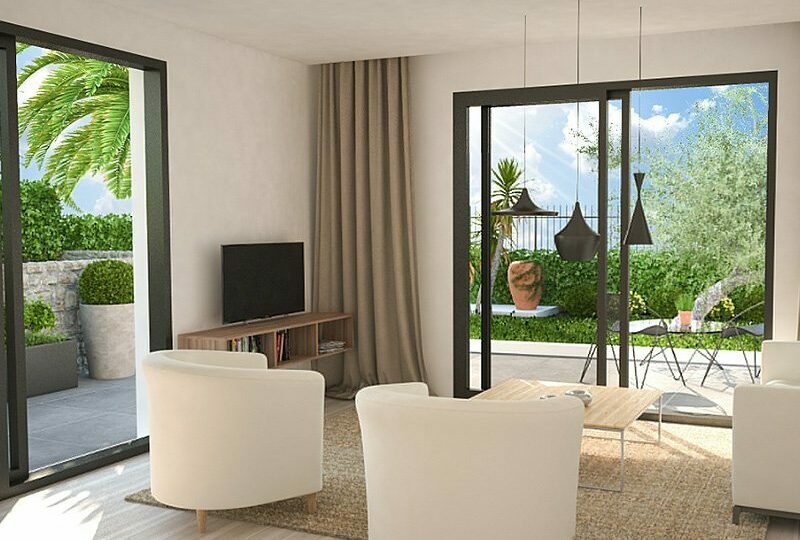 Your Juan les Pins new apartment at 100 meters from the beach lies in a quiet and green environment. The villa offers an area of unmatched tight modern architecture. Lines, volumes and materials used on facades give the building a contemporary and elegant style. Facades with wooden elements, Venetian sliding blinds, hidden spaces for curtains and a beautiful palette of color. In short, an apartment that makes you happy! The contemporary design invites the outdoor living. 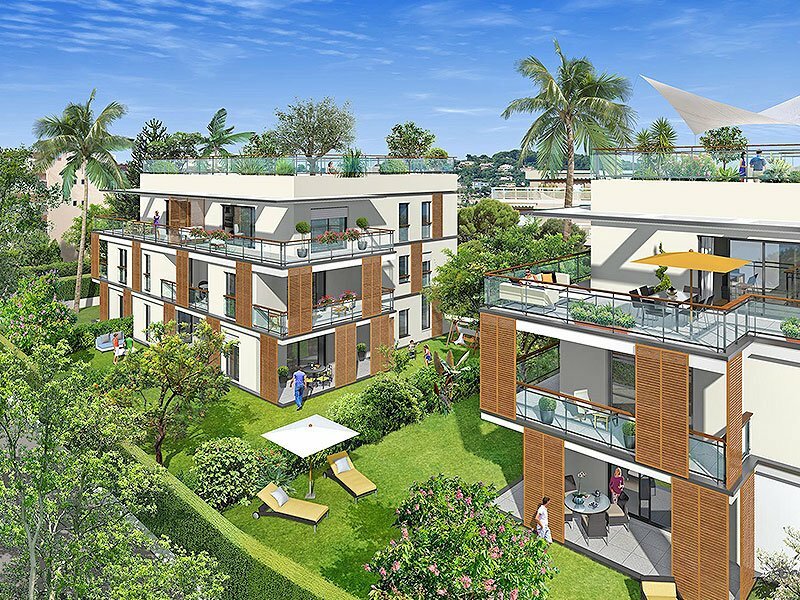 These new apartments in Juan les Pins are designed for both indoor and outdoor use. 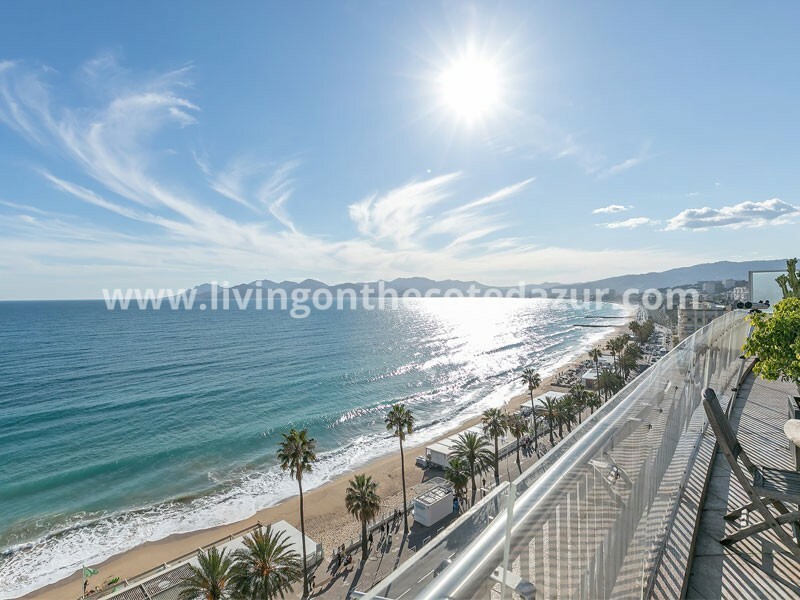 And that can be done with luxurious gardens and spacious sunny terraces, some of which have a nice and open view of the quiet “Bijou Plage” beach. The house complies with the strictest criteria for heavy duty security and has a videophone at the secured entrance. This new construction is certified RT 20212 (Thermal Regulation), which guarantees optimum heat and sound insulation. 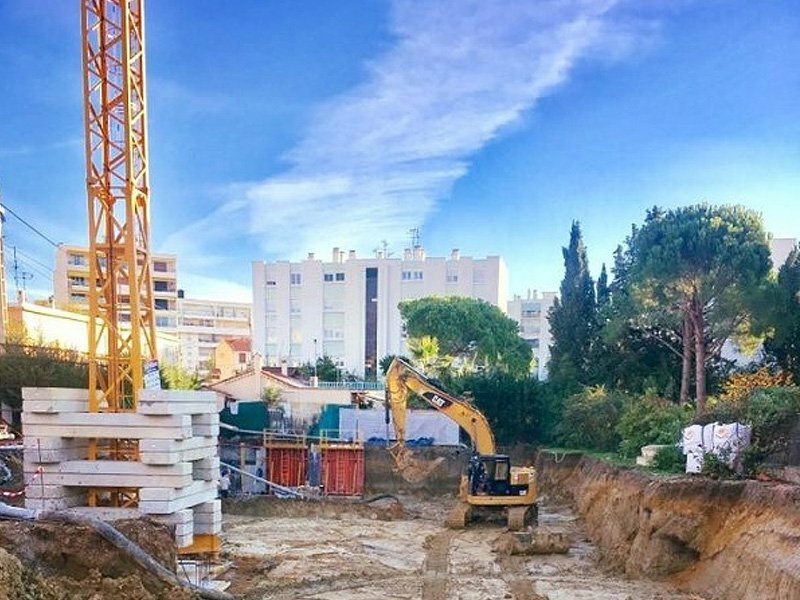 Come to Juan les Pins this summer! 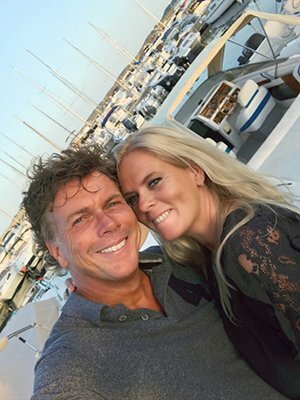 If you want to enjoy the wonderful life under the South French sun, and receive the key in spring 2018, we will be happy to schedule a visit. 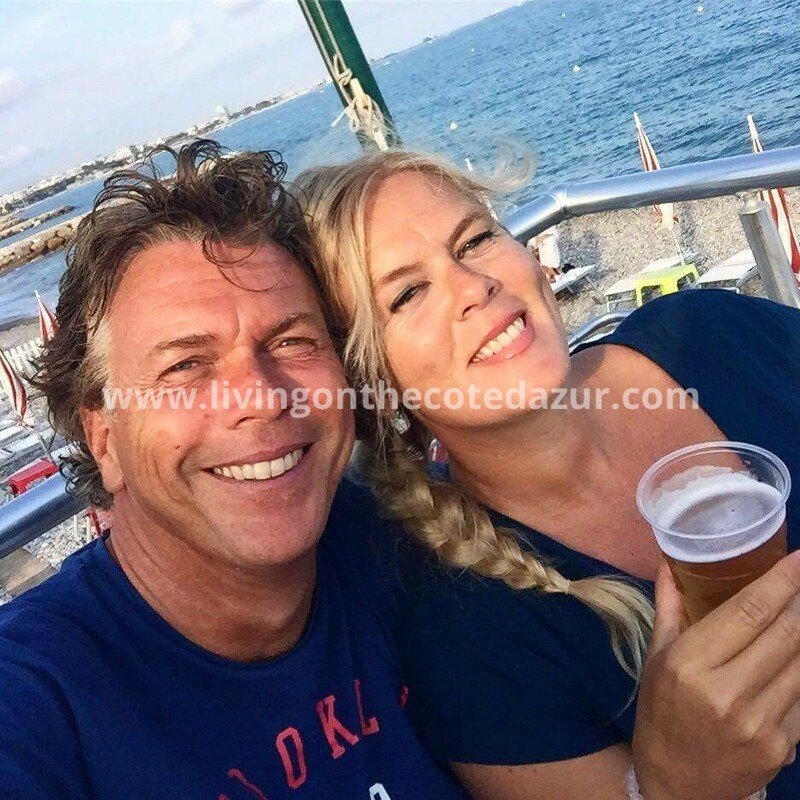 Call or WhatsApp Ab and Jo via +33770186203 or send an email with your budget to info@livingonthecotedazur.com. We will then send you the brochure and plans that fit your budget.